The Soviet Union lasted nearly 70 years, so it’s no surprise it’s legacy lives on - often in some very peculiar (and sometimes unwanted) ways. Some Russians just can’t break certain habits. Below are six of them. Ever walked past an apartment block in Russia and noticed a series of balconies bulging out the side, packed tight with God knows what? Old wooden skis, broken radios, car parts, unwanted relatives...absolutely anything. Well, this is one symptom of the Soviet hangover. Inside the apartments cupboards, shelves, and wardrobes will most likely be full of useless gubbins as well - some Russians just can’t face throwing things away. During the USSR, discarding stuff was considered wasteful and this habit has stuck. It seems you just never know when you aunt’s rusty toenail clippers may come in handy, or that jar of pickled onions 20 years past its sell-by date. 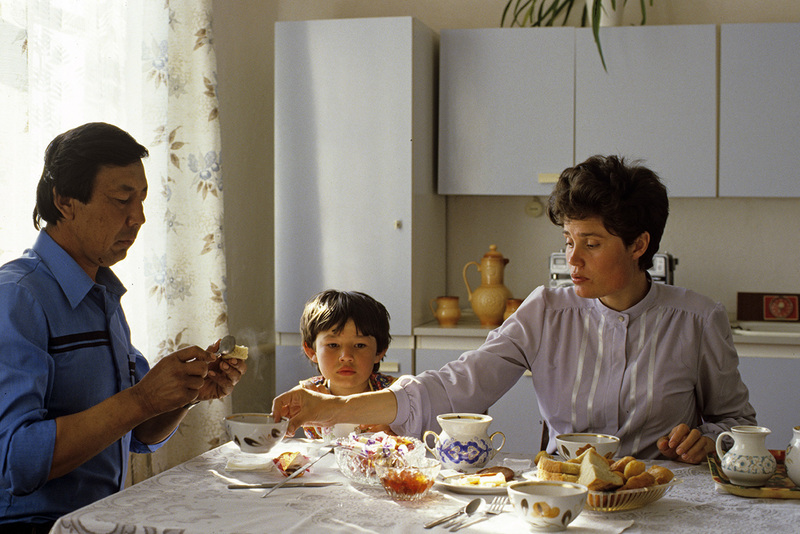 Soviet families also very rarely chucked food in the garbage. Even if the dish was on the verge of turning green it could always be saved, like grenki orkartoshka cake. Many Russians keep several beautiful sets of crystal or porcelain hidden away in their cupboards. Usually these sets were given to them as presents for weddings, anniversaries, or birthdays. So they were, and still are, very cherished. However, they are almost never used. You’re probably more likely to see a Russian crack a smile to a stranger in the street (see 5) or sing the American national anthem than wheel out their best china. Their everyday plates. cups, bowls, and cutlery might be cracked and old, but it’s almost guaranteed the good stuff will be collecting dust somewhere safe. The reason: During the Soviet Union people dreamed of a brighter communist future, so saved their most treasured belongings for a more prosperous time. This mindset applies to clothes as well, with dresses and suits tucked away without being worn for so long that when the time did come, they were out of fashion. Today, some Russians still don't unwrap the TV remote from the polyethylene wrapping, to avoid scratching it. “What are you doing? What will people say? Can’t you see how that woman is looking at you?” Soviet parents were usually pretty tough when it came to teaching their children to be weary of strangers, neighbors, classmates, etc. This might sound far-fetched, but it was a genuine fear back then. To this day in Russia people may treat foreigners with a little suspicion: Why would anyone choose to visit freezing, brutal Russia, unless they had been sent by a foreign secret service, right? Well, this trait isn’t exclusively Russian. English people also find it hard to accept praise, most of them anyway. But Russians do have a reputation for feeling uncomfortable if someone pays them undue attention. For instance, if a salesperson gets too friendly in a shop, they will probably walk away without buying anything. Modesty seems to be the best policy in Russia - making an exhibition of yourself in the Soviet Union was frowned upon (refer to 3). Anyone who has visited the country will know this fact all too well - Russians very rarely smile at strangers, unlike Englishmen and Americans who stroll around grinning from ear to ear at everyone and anyone like madmen. But the old Russian proverb still rings true: Laughter without reason is a sign of idiocy. If you can get a Russian you’ve never met before to crack a smile, pat yourself on the back. Note: Just because Russians don’t smile, it doesn’t mean they are not friendly. There is such a thing as “cold love”!